After 18-year-old Stephen Lawrence was killed by racist thugs while waiting for a bus in South London in 1993, no one would have guessed that it would lead to a rediscovery of the concept of institutional racism, a revolution in public services in the UK, and a new definition of racism in Canada in 2017. The UK Government accepted the MacPherson Inquiry results and the definition of institutional racism. They used it to pen the Race Relations Amendment Act in 2000. This outlawed race discrimination in public services whether direct or indirect. It gave all public bodies a duty to promote race relations. It meant that, by law, equitable services must be offered and organizations and institutions must prove that the services they offer are equitable. It meant that the significant disparities in health and mental health treatment access and outcomes that had persisted in the UK were now unlawful and it meant that, by law, the National Health Service (NHS) had to document disparities based on race and do something about them. Subsequently, the Audit Commission in the UK concluded that the most important intervention for the promotion of racial health equity in the UK was the Race Relations Amendment Act that stemmed from Stephen Lawrence’s death. It is tragic that it took a murder to move forwards on fairness. Institutional racism occurs at many levels inside and outside an organization. It is intersectional, the impacts of institutional racism are linked to other forms of marginalization and discrimination. Institutional racism is fluid, it changes over time and changes to ensure that the disparities continue. It is linked to the ideology of an organization; for instance, the rise of evidence-based medicine led to disparities because the system had not produced evidence for interventions that would work equally for racialized populations or for interventions that would promote health equity. The problem is organizational; though organizations are made of humans and people make decisions, institutional racism lies in the processes and policies of an organization. It is in the swim lanes that are developed to marshal behaviour in an organization. It is the in differential action of the laws, processes and practices of organizations. 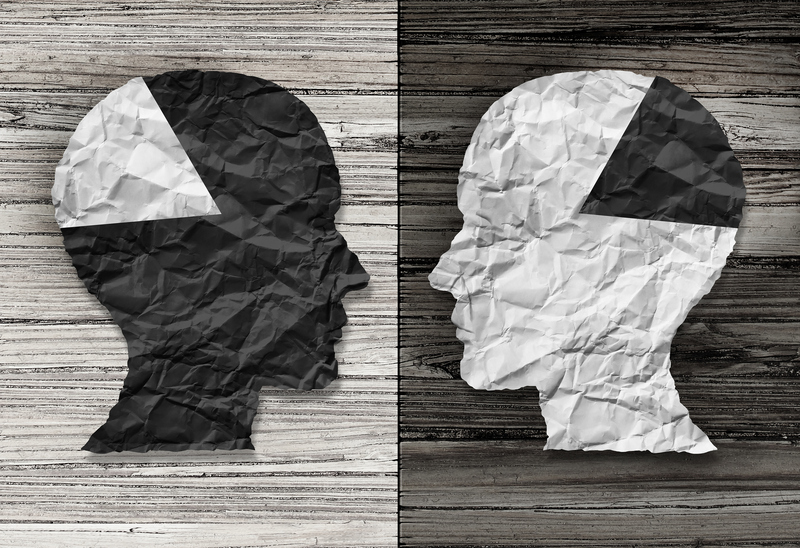 Because institutional racism lies in the fabric of organizations, institutional racism can occur in organizations that do not intend to discriminate. Last, institutional racism lies not only within organizations but in the links between organizations. Organizations should understand that they are responsible to try to decrease disparities even if they are because of the actions of another organization. For instance, if there were increased rates of incarceration for African-Caribbean youth in forensic mental institutions because of increased police charging of this group that would not excuse the National Health Service in the UK from needing to have a strategy to decrease these disparities. There was significant progress based on this analysis. For instance, the Government of the UK launched a Race Equality Impact Assessment strategy so that all UK policies promoted race relations and decreased disparities. And, in mental health they developed a strategy called Delivering Race Equality which offered a plan across a number of levels of the NHS to improve services for Black and minority ethnic groups. But as changes started to happen there was significant push back. Academics, the police and some NHS clinicians complained that they were being called racists. Initial agreement by the UK Government that there was institutional racism in health services was lost and there were arguments between different groups involved, derailing the initiative. Though it was made clear that the definition of institutional racism meant that it was a collective problem, this is not what practitioners heard. They were offended and said that their professionalism was being called into question. When coupled with the fact that those who run the NHS and police were suggesting that training was one solution to the problem of differences in treatment between groups, it is not surprising that those on the front line believed they were scapegoats for a complex issue. The definition expressly stated that institutional racism was not because of individual racism, but that is not how it landed. The possible political gains which should have been linked to the improvement of health care equity were lost because of concern that there would be a clinician backlash. The energy that could have propelled the NHS and the police to a new level of fairness in services was lost to introspection and infighting. The political system also lost interest as they looked for a more certain way to improve their voter base. The Race Relations Amendment Act was repealed by the Government in 2010. One of the most important levers in promoting health equity in the UK was lost. On my last visit to the UK I was told that the ability to promote equity in mental health care there had diminished. The Public Health Agency of Canada (PHAC) started to discuss the idea of institutional racism in the mid 2000s. The Innovation Branch wanted to develop a survey of interpersonal racism – which they completed and included over 20,000 people in Canada in 2014. They wanted a report to see if institutional racism could be measured too. PHAC has noticed reports of disparities in health such as the lower life expectancy of Indigenous populations, the disproportionately high incarceration rates of Indigenous and African-Caribbean Canadians, the increased rates of racialized and Indigenous children taken into care, poorer educational attainment, high suicide rates in Indigenous populations, the possible high psychosis rate in African-Caribbean Canadians, and the poorer access to services and service outcomes for all of these groups. They wanted to identify possible reasons and their impact on health. Institutional discrimination is defined as an ecological (group or societal) form of discrimination. It refers to inequitable outcomes for different social groups. These are considered to be produced by social and organizational architectures or functions which may act individually or together. But measurement was problematic. The fact that institutional racism is considered to be produced by social and organizational architectures was the root of the problem. It meant that there was a need to measure social architectures, which could mean investigation at many different levels in a complex system or organization to prove that disparities were produced by them. It led to questions about whether the problems were in the structure of an organization or in its function. It led to further discussion about whether intent was required. Then there was the issue of how to measure subtle actions that can be a potent part of a part institutional racism as well as questions about how we would take into account the societal climate, which could change the impact of an organization on race. Last there was the issue of time. Time included the history of the issue and the different histories of the people involved. It included an understanding of the fact that the impacts of racism might take time and might take different amounts of time for different processes, illnesses and people. It also included the idea of delays between events and their impacts. The idea of time seemed important when considering institutional racism but it was difficult to include it in measurement. Though the PHAC definition was accurate it was complex and difficult to use. It fused the outcome (racial disparities) with the mechanism that brought about the outcome. It made measurement difficult because the definition relied on measuring the complex mechanisms through which institutional racism occurs. No survey of institutional racism was undertaken. Three years ago, Wellesley Institute launched a social media campaign that aimed to get people more active in decreasing the impact of racism on health. This was spurred by our central aim to improve health and health equity in the Greater Toronto Area, but also by the fact that action on racism was seeming to stall. Many of the 15 resultant ideas to decrease racism were structural in nature. These ideas were influential in the development of the work plan for Ontario’s Anti-Racism Directorate, a group that works at the Cabinet level and was set up after the activism of local groups such as Black Lives Matter and the Colour of Poverty. Systemic racism occurs when an institution or set of institutions working together creates or maintains racial inequity. This can be unintentional, and does not necessarily mean that people within an organization are racist. It is often caused by hidden institutional biases in policies, practices and processes that privilege or disadvantage people based on race. It can be the result of doing things the way they’ve always been done, without considering how they impact particular groups differently. The definition is comprehensive and accurate, but my worry is that it may encounter many of the issues that have plagued this field so far. It is not clear how useful it will be for measurement or in producing action, especially since data collection and analysis are likely to be key to enforcing any legislation that the Directorate brings forward. The work over the last 18 years has offered some indication of factors that may be considered for a useful definition. One lesson learned from the work in the UK is that the issue of whether disparities are caused by individual racism or institutional racism is difficult to avoid. Even if you say institutional racism is institutional that is not necessarily how it lands. People get upset and that can sidetrack progress. Any definition needs to work out how to deal with the “are you calling me racist” problem. Another lesson is that the issue of intent is difficult to sidestep. Though the definition may say intent is not required, racism is such a touchy issue that people want to identify organizations that mean to be discriminatory and to punish them. They want to understand where the racism lies and show who is at fault, and hopefully show that their organization is not. Last, a definition that requires, or seems to require, an analysis of cause can lead to problems. Measuring the mechanisms, or the causes of a complex issue such as structural racism, can stop progress through introspection and investigation instead of action to decrease disparities. The overall impression I have gained over the years is that organizations do not like change and use many methods to continue the status quo. It is rare in my experience to find an organization that believes that disparities are unimportant. But it is also rare for me to encounter organizations that think that disparities such as racism, especially institutional racism, are as important as other issues such as balancing the budgets or producing excellent if inequitable, service. The persistence of disparities is a result of what organizations do not do, their lack of action on disparities, perhaps even more than the things they actively do to promote equity. Laws and definitions that make organizations focus on what they have done wrong or on working out why there are differences between groups, run the risk of promoting action on data collection and analysis rather than positive action-on-action to decrease disparities. Institutional racism is an ecological form of discrimination. It refers to inequitable outcomes for different racialized groups. There is a lack of effective action by an organization or organizations to eradicate the inequitable outcomes. This definition aims to move away from the paralysis caused by identifying the causes of racism. It moves away from questions about whether there was intent to discriminate. And it focuses on action to decrease racism in the here and now. Further, it argues that racism in the public services is not about how things were done in the past, it is about what an organization does in the present to deal with racial disparities. It makes it simple; if you see disparities linked to race and you have no effective plan to decrease them then you have to take responsibility for your inaction. Institutional racism is seeing racial disparities and doing nothing effective about them. The Stephen Lawrence case had a happy ending of sorts. The perpetrators were eventually tried and found guilty of murder twenty years later. It took focus and persistence over time, but the Metropolitan Police Service finally made sure that justice was done. 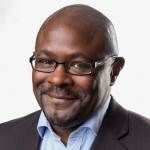 I just hope it does not take as long for services in the Greater Toronto Area to root out institutional racism – it is one of the most ubiquitous social determinants of health and one we have ignored for too long. Download a copy of this think piece here.